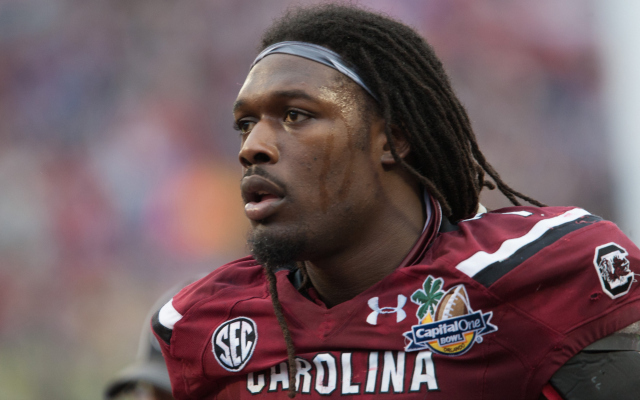 The Houston Texans took DE Jadeveon Clowney from the University of South Carolina. Clowney, one of the most feared linebackers/defensive ends in the country, has wreaked havoc all across the SEC for the last 3 years at South Carolina, under coach Steve Spurrier. Clowney will be matched on the line with Pro Bowler J.J. Watt, who is an absolute workhorse, so the idea of Clowney not being motivated won’t be a question with his teammates like Watt & former Rookie of the Year Brian Cushing there to get in him regularly. The Houston Texans have become a playoff contender immediately, especially if a veteran quarterback is coming into the organization soon.